Mountain Home Police will be out in force Sunday night helping keep Halloween safe as goblins, ghosts and ghouls travel throughout the city in hopes of collecting the most candy. MHPD Sgt. Rick Viola said there have been few problems in recent years, as more and more people have opted for Halloween parties, such as the city's Super Safe Halloween at Hacker Middle School, rather than going door to door trick-or-treating. But that doesn't mean there won't be hordes of kids on the streets Sunday night, and Viola urged all drivers and the children themselves to be particularly careful that evening. "Watch out for pedestrians and cars. Just be cautious," he said. "Officers and COPS will be out with extra patrols, responding to calls and keeping it safe and fun." "We're encouraging kids to go to Halloween-type gatherings like that at Hacker or at the churches," he said, adding that for those who do trick or treat door to door, "young kids should definitely have parents with them." "With as many organizations that offer alternatives, it's actually turned out pretty good," Viola added. "We haven't had many incidents in recent years. The community does a good job of making it a fun event for our kids. A lot of people go to parties these days instead of door to door." Viola also reminded trick or treaters that if a residence has its lights out it means the people there do not want to be bothered by trick-or-treaters. According to the Centers for Disease Control and Prevention, almost four times as many children ages 5 through 14 are killed while walking on Halloween evening than on any other night of the year. Parents and chaperones can help prevent children from getting injured by following the following safety tips from the American Academy of Pediatrics, the CDC and the National Safety Council. * Watch for children running between parked cars and walking on roadways, medians and curbs. * Enter and exit driveways and alleys cautiously. * Watch for children in dark clothing. * Turn on outside lights if they wish to hand out candy to trick-or-treaters. * Make sure an adult supervises children under age 12. * Plan and discuss the route trick-or-treaters will follow. * Teach children to stop only at well-lit houses or apartments. 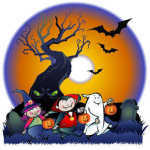 * Review all appropriate trick-or-treating safety precautions, including pedestrian and traffic safety rules. * Pin a slip of paper with the child's name, address and phone number onto their costume. * Use flashlights, stay on sidewalks and avoid cutting through yards. * Cross streets at the corner, use crosswalks where possible and avoid walking between parked cars. * Stop at intersections and stay in a group while crossing the street. * Wear bright, reflective and flame retardant clothing. * Consider using face paint instead of masks so the child's vision is not obstructed.